Acuren’s portable testing and analysis techniques have made it possible for us to bring a range of engineering services to wherever we need to be. Our team of field engineers combine technical experience, specialized equipment, and world-class resources to ensure your assets are secure. 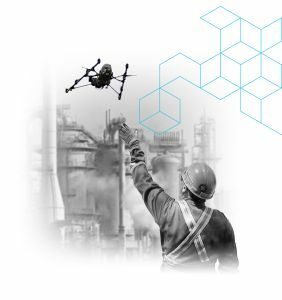 Our commitment to innovation, safety, and quality ensures that our field engineers are able to perform at a higher level of reliability, whether they are performing preventative measures or are responding to an identified issue. At Acuren, we have field expertise for conducting NACE International sour service testing on oil field components. If the Acuren team is in the field, you can rest easy. Potential failures or increased maintenance costs due to in-service corrosion, cracking or poor mechanical properties, can be avoided by utilizing Acuren’s ferrite testing services. Acuren can provide on-the-spot hardness testing results followed by the certification of the findings in a written report, as well as interpret and advise on those results. Our technicians deliver rapid, reliable, replication services to help ensure reliability of our customer’s components to help eliminate costly failures and downtime. Acuren’s extensive database, populated from decades of performing this service, allows us to provide value to the customer far beyond any other service provider's capability. 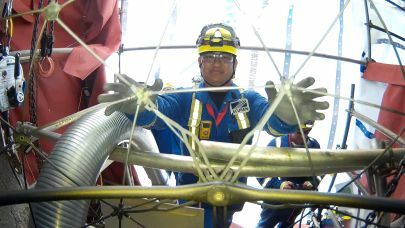 Acuren technicians can also perform PMI utilizing rope-access methods to test materials in hard to reach and confined space locations.